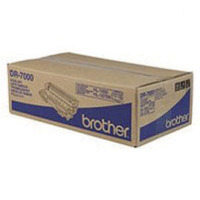 Brother HL-1030/Multifunctional 9000 Series Drum Unit DR6000 10548 Pack of 1 Brother DR6000 Drum for HL1030/1240/1250/1270N/ HL-1230/1440/1450/1470N/ P2500/9650/N/8350P/8750P/ NLT/MFC-9650/9660/9660/ 9750/ 9870/9880. Page yield 20,000. 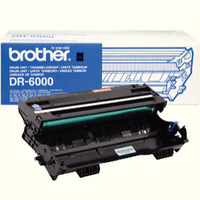 Brother HL-1650 Mono Laser Drum Unit DR7000 Pack of 1 Replacement drum unit for Brother laser printers. Replaces a worn drum unit and renews print quality. Designed for HL-1650/1670N/1850/1870N/5030/5040/5050/5070N, MFC-8420/8820D/8820DN, DCP-8020/8025D/8025DN. Page Yield: 10,000. 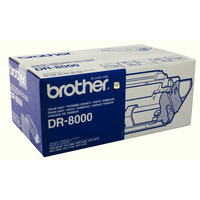 Brother Fax 8070P Drum Unit DR8000 Pack of 1 Replacement drum unit for Brother laser printers and fax machines. Replaces a worn drum unit and renews print quality. Genuine Brother product: unparalleled reliability. For MFC-9030/9070/9160/9180 and FAX-8070P. Page Yield: 10,000. 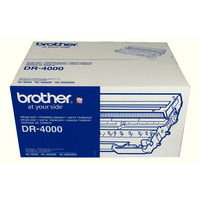 Brother HL-7050 Black Drum Unit DR5500 Pack of 1 Replacement drum unit for Brother laser printers. Replaces a worn drum unit and renews print quality. Genuine Brother product: unparalleled reliability. For HL-7050/7050N. Page yield: 40,000. 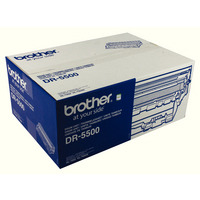 Brother HL-6050 Black Drum Unit DR4000 Pack of 1 Drum unit to provide clean printing. Ensures that toner is applied precisely. Great solution for high volume printing. Easily installed into your printer. Page yield: 30,000. Colour: Black.